Lately it seems I've been sharing quite a few cocktails here on the blog but I assure you my life is not all champagne and martinis! However, I promised you an array of festive libations a few weeks ago and I am a woman of my word. Today I'm mixing up a cranapple martini for Society Social to officially kick off the holiday season. This one is a keeper y'all. 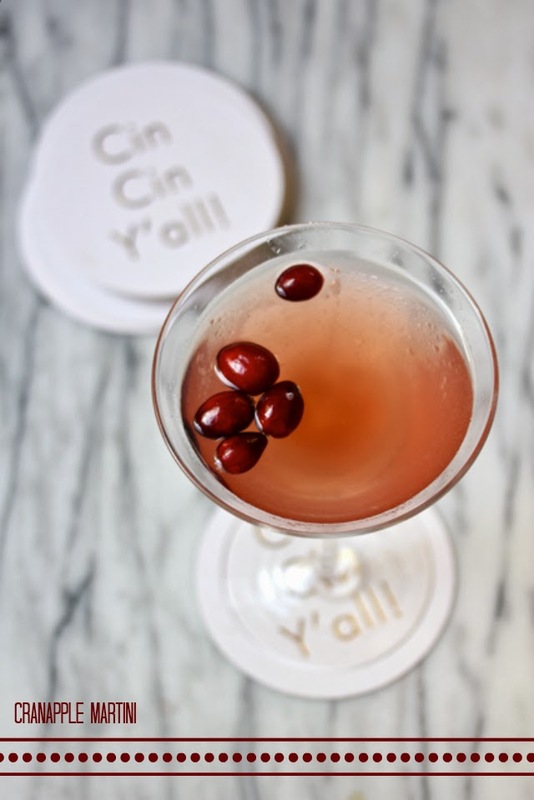 If you're not a gin drinker but have always wanted to give it a try, this cranapple martini is your answer. If you're a seasoned gin drinker, no worries... you'll love it too. Either way, be sure to invest in a high quality gin to get you started. To grab the recipe, cruise over to Society Social now! 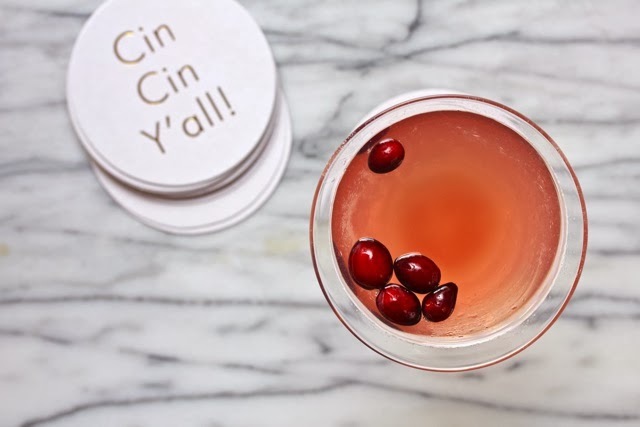 And while you're there, take a look at the entertaining accessories and hostess gifts which is where I designed and ordered my custom Cin Cin Y'all! coasters you see above. The sky is the limit and it's a great way to personalize your holiday parties.